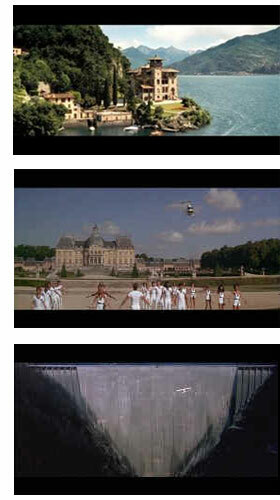 ThemePartyPeople presents another Bond trip, the ultimate James Bond film location tour, this time in Europe! Exclusive 11 Day Bus/Train tour of Europe, as seen and experienced through James Bond's most famous films and visits to other film sites from "The Bourne Identity, "Star Wars", "Indiana Jones and the Last Crusade", "Ronin", "Charade", "Mission Impossible", The DaVinci Code", "Moulin Rouge", "Oceans 11" and more! A limited invitation event for the discerning James Bond traveler as well as an in-depth tour of Europe's most requested vacation spots for non-agents. Theme Party People, who created the sell-out "070707" Casino Royale Tour of Nassau, and the Ocho Rios/Key West visits in the "LTK2009" Licence to Kill 20th Anniversary Tour have partnered with famed world travel company, GLOBUS TOURS, to provide an all-encompassing European vacation for film fans. Bond, Bourne and Beyond EURO2010 will provide luxury accommodations, multilingual tour guides to the film sites, sounds and tastes of Italy, France and Switzerland, along with the usual Theme Party People accent on the fun and lifestyle of our favorite film secret agents. "On the trail of BOND, BOURNE & BEYOND" takes places from August 21 - September 1, 2010 and will take you to film locations in Italy, Switzerland and France.